Sometimes, Bible study ideas can come from an unexpected source. One of the speakers at our Feast of Tabernacles site last month was a man whose messages rarely catch my attention, but he gave an excellent sermonette about falling in “true love” with God. Though the holy days for this year are several weeks in the past, these subjects are relevant year-round. Since the Feast, or Sukkot, pictures Christ’s millennial reign, it’s also connected with the marriage to His church, which takes place a little earlier. We will be living and reigning with Jesus as His bride, teaching and serving alongside Him (Rev. 20:4). But first, we have to get there. God is love. it’s not just something God has like a person can have feelings of happiness or a sense of humor. Love (and the word is agape) is God. All real love — that selfless seeking of another’s good because you care about them so much — is of God. When we’re filled with love, we’re filled with God’s essential character. “If we love one another, God abides in us, and His love has been perfected in us” (1 John 4:12). The opposite is true as well: it’s impossible to love God or abide in Him while harboring an attitude of hate (1 John. 4:20). Love creates relationship with God. It’s also inseparably connected to commandment keeping — if we love God, we’ll live as He said to, thereby showing love for God. This results in a relationship Jesus described as “abiding in” Him and His Father, and Them in us. Perfect love results in perfect unity — mutual indwelling like the Father and Jesus have together and want to share with us (John 17:21-23). God’s love is the only love that can build the kind of relationship that leads to eternity, and that’s why we have to keep sharing the same love we’re being given (John 13:34; 15:12). We’ve spent quite a lot of time on this blog, and in my God’s Love Story ebook (which you can download free), talking about what God’s love is like. Our love for God and each other is supposed to be exactly like God’s love for us. It’s selfless, sacrificial love. it’s unabashed seeking of what is best for the beloved. It’s love shared between the best of friends. It’s the highest form of romantic love (non-sexual; we’re talking about agape, not eros). You might say these lovely verses from the Song of Songs are the Old Testament companion scripture to 1 Corinthians 13. 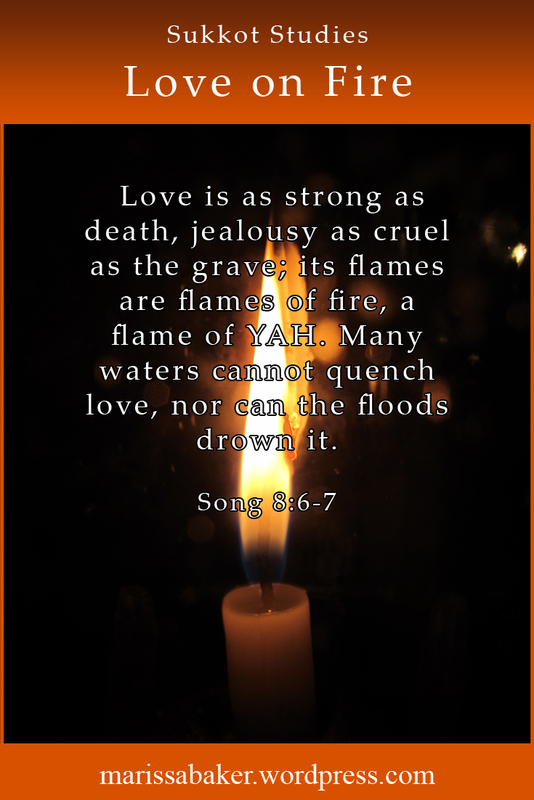 Love is a fire fueled by YAH (which is a poetic form of YHWH usually hidden in English translations of this verse). Love like that can’t be put-out by anything the world throws at it, and it can’t be bought anymore than you can buy the holy spirit (Acts 8:18-21). After Jesus’ resurrection, He appeared to two disciples on the road to Emmaus (Luke 24). He walked with them incognito and “expounded to them in all the Scriptures the things concerning Himself.” After they were allowed to recognize Him over dinner and He “vanished out of their sight” these disciples make an interesting observation (which I’m indebted to the aforementioned sermonette for connecting with the subject of God’s love). They recognized that “burning hearts” was a sign of Jesus being alongside them. When we’re abiding in Him and walking in obedience, we will be filled with the unquenchable love of God like a burning fire. The Greek word translated “burn” in Luke 24 can refer to a literal flame, but there are several other places in scripture where it’s used to describe a condition inside people (G2545, kaio). John the baptist was described as “the burning and shining lamp” (John 5:35). We’re told to be watchful servants and ordered, “Let your waist be girded and your lamps burning (Luke 12:35). Kaio is also the word used when Jesus talks about us letting our lights shine like a burning lamp in the world (Matt. 5:14-16). 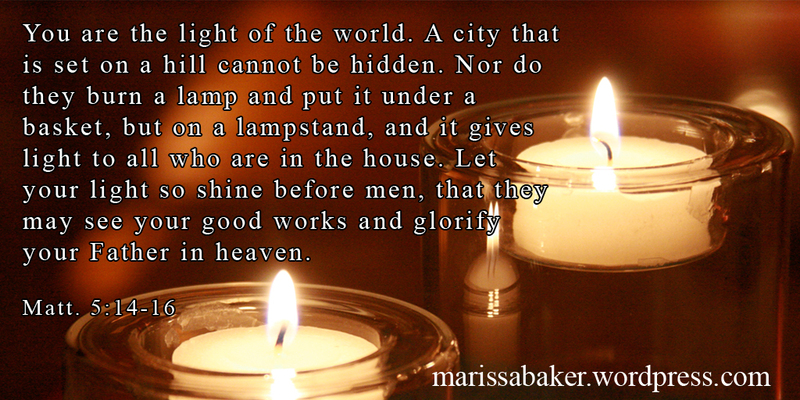 We need to let our lights, fueled by God’s love, burn so they can be seen. As we walk in the love of God, keeping His commandments and abiding in Him, unquenchable love should flow out from us to our brethren and neighbors.